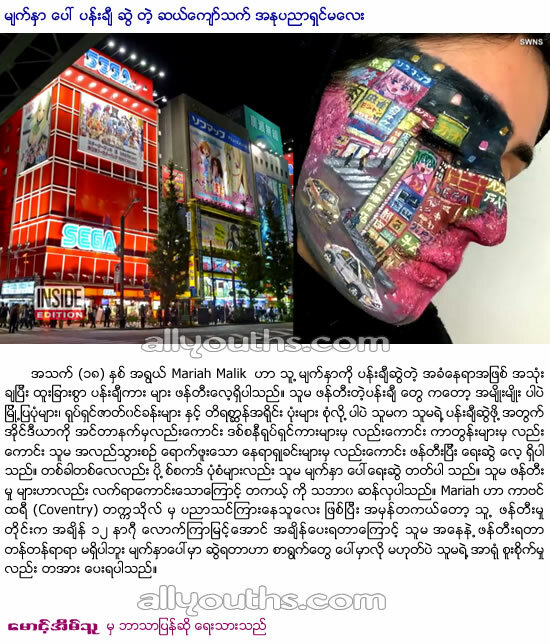 Mariah Malik, 18, transforms her face into works of art, including cityscapes, movie scenes and wild animals. Each design takes up to 12 hours to create, but the Coventry University art student said it's worth the effort. She draws her inspiration from the internet, Disney movies, cartoons and even her own travels, sometimes recreating scenes from her vacations as a sort of postcard on her face.